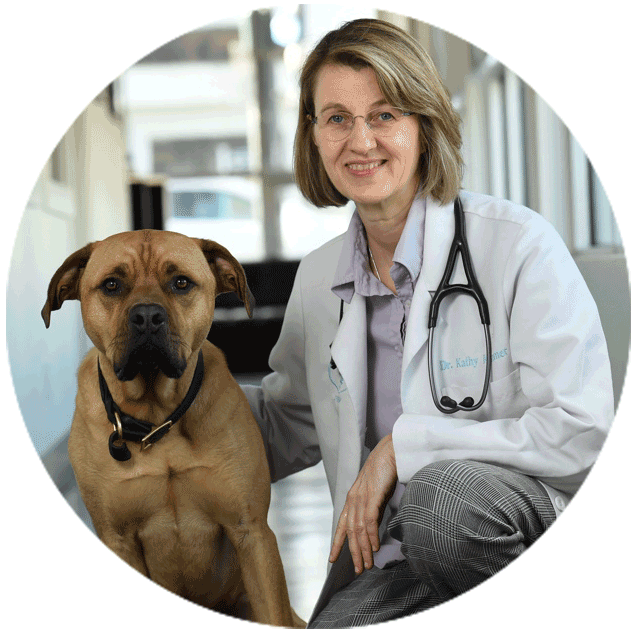 Dr. Katherine Kramer joined VCA Canada Vancouver Animal Wellness Hospital in 2011 after practicing in North Carolina for nine years. As an integrative veterinarian, she became interested in alternative modalities early in her career, blending herbs and acupuncture with Western medicine to promote optimal health. Katherine is a graduate of the University of Georgia College of Veterinary Medicine and holds an acupuncture certification from the International Veterinary Acupuncture Society and a tui-na certification from the Chi Institute. Incorporating cannabis in her practice has been a natural progression and has resulted in her becoming a vocal proponent for research and the use of cannabis as a therapeutic agent. She is a member of the College of Veterinarians of British Columbia, the International Veterinary Acupuncture Society, the American Association of Feline Practitioners, the Canadian Association of Veterinary Cannabinoid Medicine and is the Medical Director of Vancouver Animal Wellness Hospital.